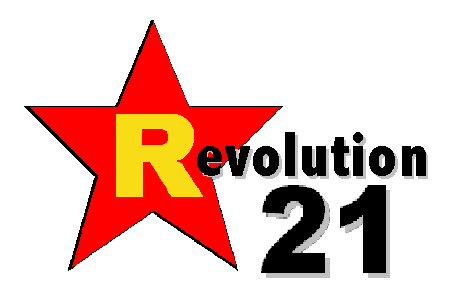 Revolution 21's Blog for the People: Would you like a snake with your Riesling? When you're out of Schlitz, it's time to switch to the dry Riesling. Over on Beliefnet a while back, Rod Dreher notably recounted his struggles with the Pennsylvania state liquor collective in finding a simple bottle of dry Riesling. After much abuse from some uncultured gourmands whose idea of a dry wine is letting the Mogen David go a little vinegary, the poor man allegedly broke several state laws by sneaking across the border to New Jersey and purchasing illicit, yet suitably dry, hooch. Sunday, Rod blogged about his Easter triumph. Or, at least, the triumph of the anonymous bootlegger who found dry Riesling across the Maginot Line and smuggled it back through the Quaker State defenses . . . thus sending Mr. Dreher into dipsomaniacal reverie. I'm talking about you, E. Bunny -- if that's your real name. NOW, I don't know nothin' 'bout birthin' no piquant bouquets, or sniffin' no corks, or subtle fruitiness vs. Electric Kool-Aid Acid Tests, but I do OK when it comes to sucking the stuff down. Because when you're out of Schlitz, you're out of beer. And when you're out of beer, that means it's time to switch to wine. All of this gets me to Sunday. Mrs. Favog and I went over to some dear friends' house for Easter dinner, where before eating, the four of us killed off a bottle of a rather excellent dry Riesling. Not even a slight hint of that certain . . . oh, je ne sais quoi . . . Formula 44 cachet. Or Boone's Farm, either. Do you know what our friend Laura went through to get that dry Riesling? She had to go all the way to the neighborhood Hy-Vee supermarket. And there, in the wine section . . . voila! OF COURSE, she had to call on pretty advanced sommelier-type skills. We're talkin' mad skillz going beyond the training of your average Pennsylvania ABC store manager -- she looked at the label, keeping her eyes peeled for the telltale clue that you've stumbled upon a truly dry Riesling. And there it was. The words "Dry Riesling." When she stopped laughing hysterically, there standing in the Hy-Vee wine aisle -- she had read Rod's account of his disastrous encounter with socialized liquor -- she bought it. And we drank it. It was dry. And that was good. NOW, WHAT WITH all the drankin' that had been goin' on during this Easter feast (and a feast it was), I lost my head and began to lapse into my native Louisiana patois, which makes somewhat less sense to the Midwestern ear than, say, Boomhauer on King of the Hill. As we all watched The Sound of Music -- Mrs. Favog's favorite movie ever (ask her about the time she met Julie Andrews) -- for the 4.327th time, one of the characters noted that a previous governess had gotten a snake put in her clothes, as opposed to Maria merely getting pranked with a frog. "They ain't nothin' wrong with a snake," I remarked, using the proper pronunciation of "sneck." At which point Laura got up, went to the freezer, pulled out an ice cream cake and dished it up. She thought I said "There's nothing wrong with a snack." Which there wasn't. Nothing a-tall.